SEO is a huge industry; there are many companies whose entire business is improving search engine rankings and to pay for their services you would need a turnover in your online shop in the thousands per month. However, if you've not got a huge site, some basic tuning can get you on the first page of results for likely keywords (if the competition for those words isn't too high). It’s always easier to design in the optimisation from the beginning. If you've an existing site, you don't need to worry about checking too many search engines; Google of course, Yahoo / Bing, and the searches that they power account for nearly all the traffic from engines. Madhats.net is a site built to attract traffic from search engines for terms such as "buy crochet hat" - shown on the left at number one in Google’s results. The site is kept on basic level hosting so only uses html, css and simple scripts and occupies little space. Follow this link for a more detailed description of the site. 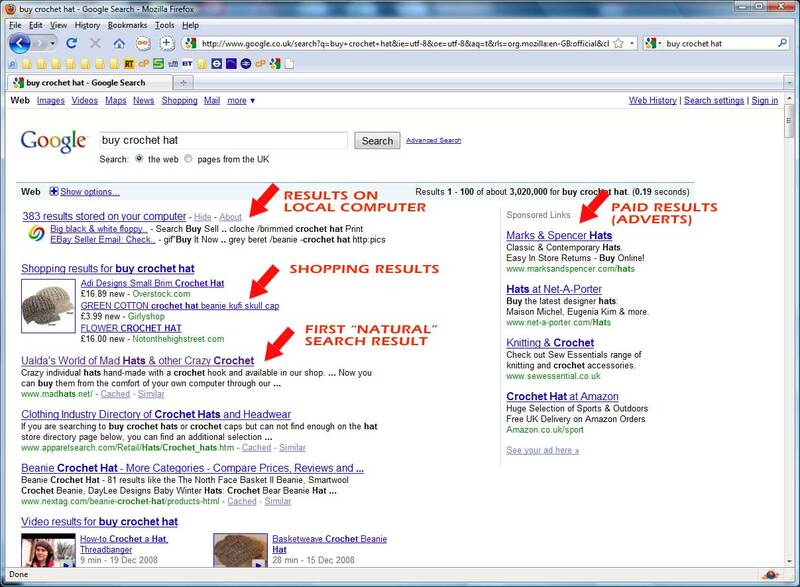 Check the current ranking on Google by clicking here. 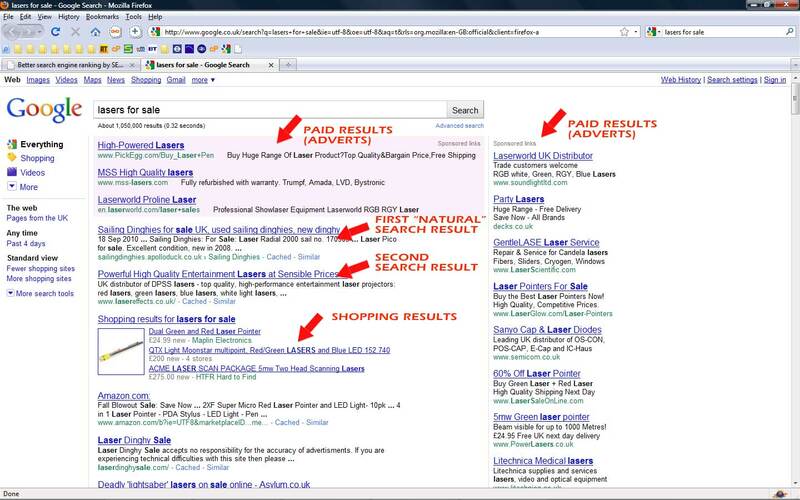 Lasereffects.co.uk was implemented as an information site for Clubtek’s laser business, and was optimised from the beginning for terms such as "lasers for sale" - shown on the left ranking second in Google. This site is held on standard hosting and is based around a MySQL database. Follow this link for a more detailed description of the site. 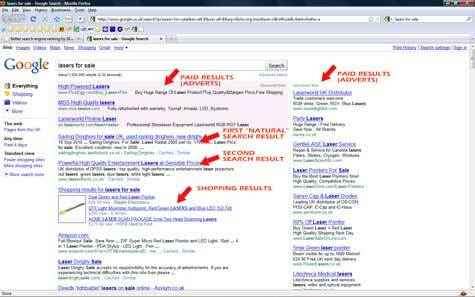 Check the current ranking on Google by clicking here.